Property 13: PERFECT & AFFORDABLE FAMILY REUNION PARADISE! 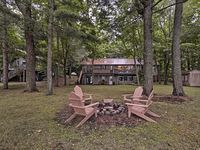 Property 14: Cabin on Blake "Too"- Gorgeous, lakefront, private, modern cabin! 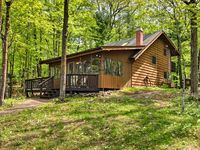 Property 17: Amazing Location, Great Fishing Sunfish, Crappies, Pike, Muskie! Property 27: Exceptional, Architect designed, Pipe Lake Cabin, clean, lovely lake.